As a professional photographer, designer, and marketer, Bradd has been working with real estate, architecture, builders, and interior design clients in and around the Pittsburgh area for almost 20 years. 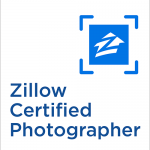 His photos have helped clients win design awards and sell homes faster, all while being efficient and budget friendly. Bradd provides clients with the highest-quality images at affordable prices. Packages start at just $125, including access to all photo rights. 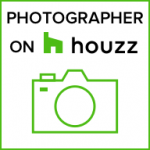 As a Zillow Certified photographer and a Houzz Professional, he will showcase your home or design project in the best light possible. Bradd has also worked internationally; he managed a six-person in-house marketing, graphics, and visualization team for Stantec in Ahmedabad, India. If you’re interested in more than just photos, tap into his extensive experience in graphic design, marketing, and social media to make your vision a reality. Click here for call (412) 979-5866 to discuss your project today.